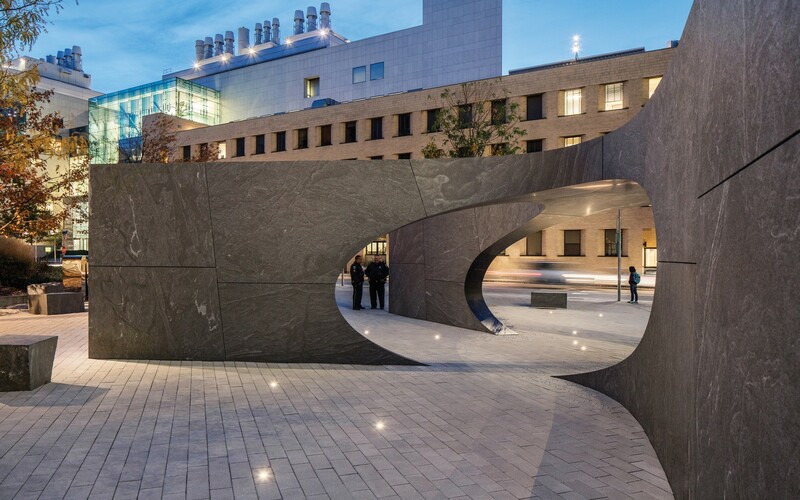 The Collier Memorial at MIT honors police officer Sean Collier, who was killed in the line of duty on April 18, 2013. 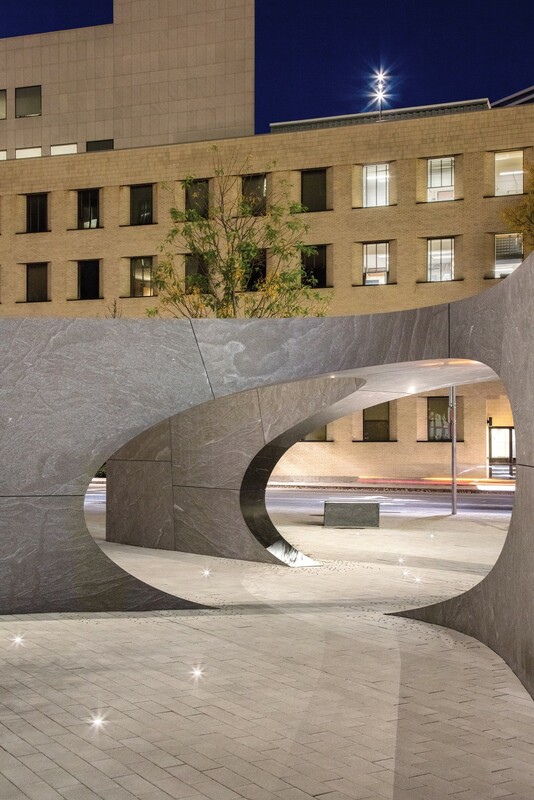 Designed by J. Meejin Yoon, the memorial embodies strength through unity, with 32 interlocking blocks of granite. Horton Lees Brogden Lighting Design (HLB) was engaged to light the memorial, giving it a timeless feel at night. 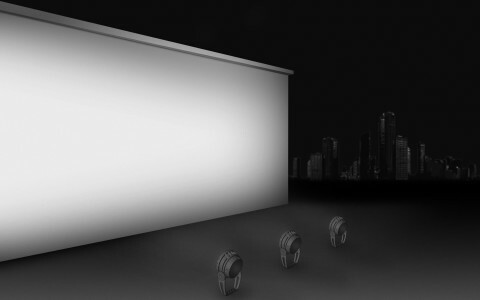 HLB used Lumenbeam Small luminaries in 3000K, mounting the fixtures on the rooftops of adjacent buildings to floodlight the memorial from above. To illuminate the full structure and provide higher light levels for inscriptions, the firm used a mix of narrow beam angles. 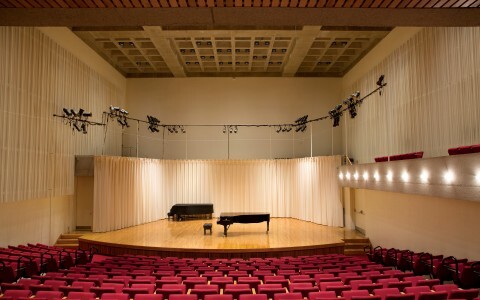 The result is a subtle lighting design that enhances the symbolic design and creates a place for quiet reflection. 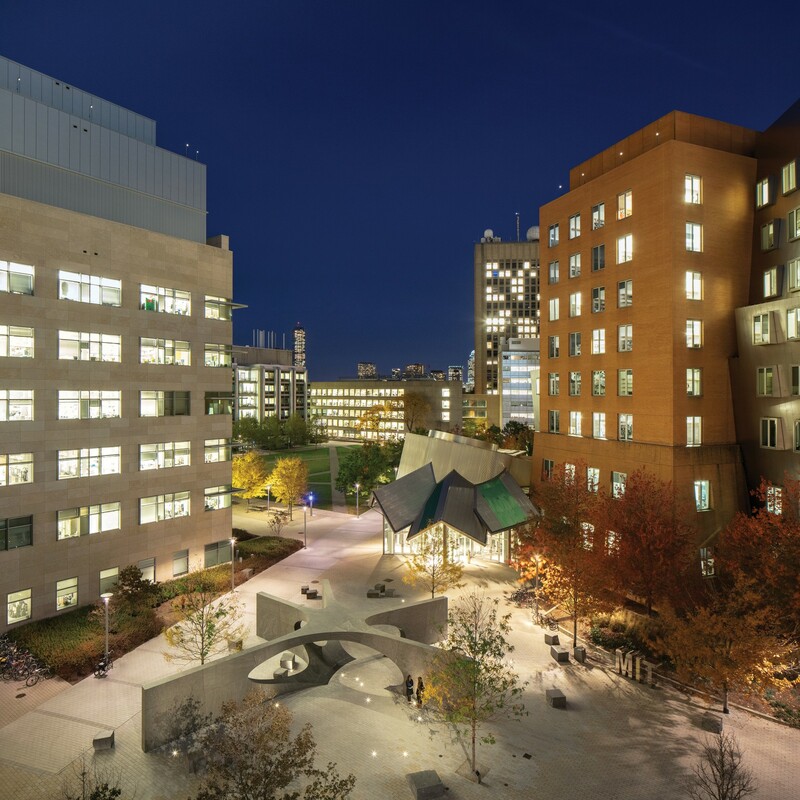 Horton Lees Brogden Lighting Design used Lumenbeam Small luminaires to floodlight the Collier Memorial at MIT, mimicking moonlight and creating a powerful place for reflection. The Lumenbeam Small fixtures gave us the light output and the tight beams we needed to highlight the inscriptions, but they were still small enough to stay inconspicuous from below. 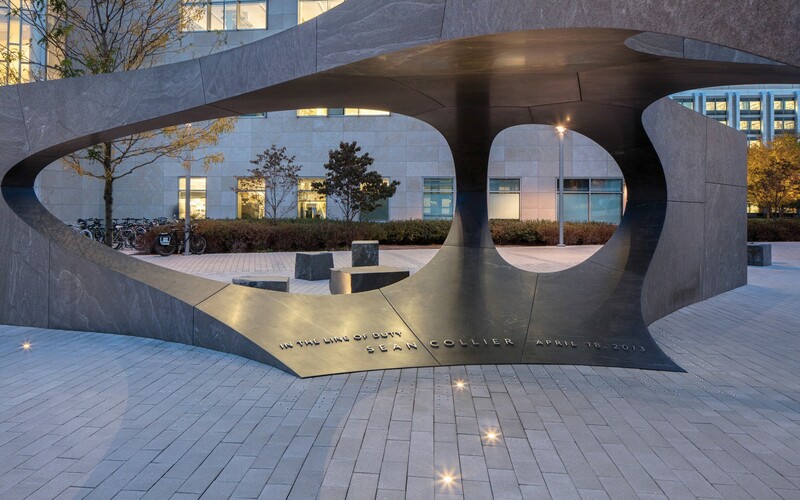 The Collier Memorial at MIT honors police officer Sean Collier, who was killed in the line of duty on April 18, 2013. 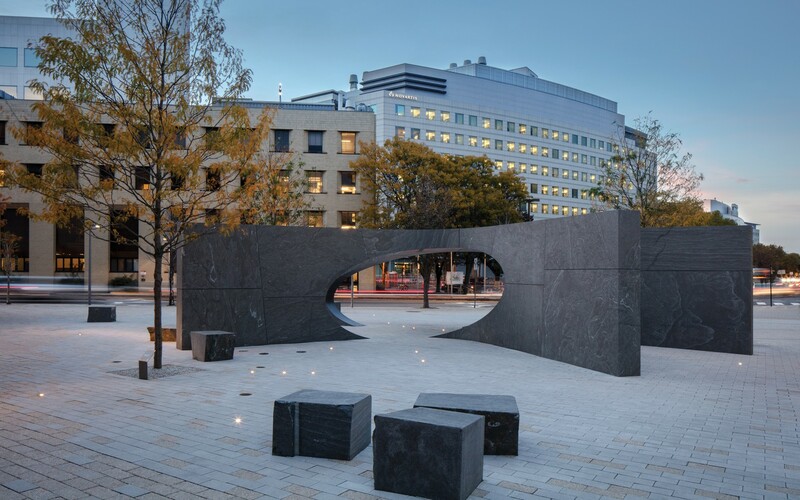 Designed by J. Meejin Yoon, the memorial is meant to embody strength through unity, with thirty-two interlocking blocks of granite creating a stone vault passage. Boston-based Horton Lees Brogden Lighting Design(HLB) was called on to illuminate the memorial, and give the structure a timeless feel at night. "The idea was to mimic moonlight from above to highlight the structure and its design, and allow it to stand out in the existing plaza," said HLB senior designer Barrett Newell. "But it was also important for us to match the self-sustaining memorial with a subtle, energy-efficient lighting design," she said. 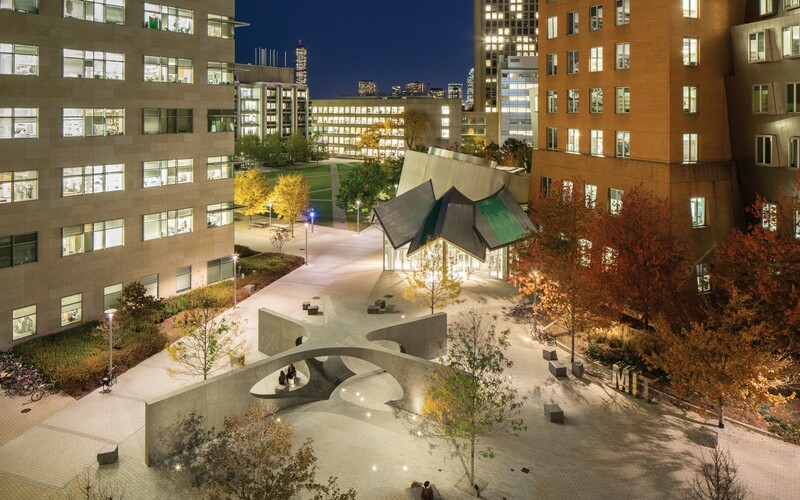 To achieve this, HLB chose 14W Lumenbeam Small luminaires in 3000K, mounting the energy-efficient fixtures on the rooftops of adjacent buildings to floodlight the memorial from above. 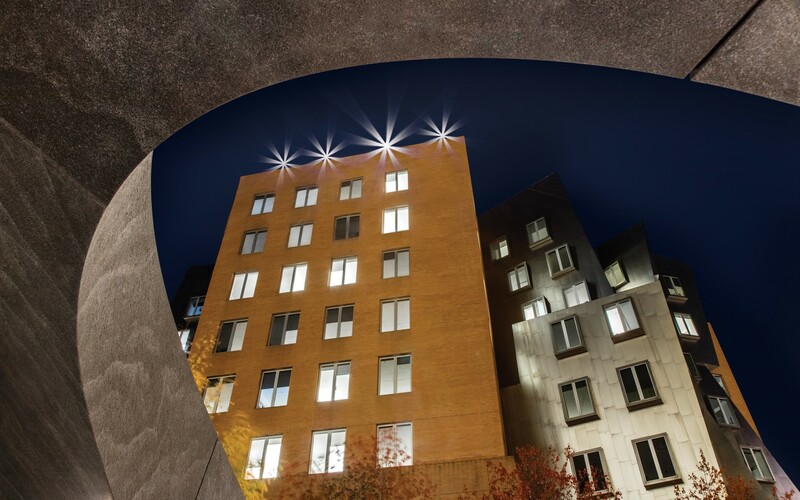 To illuminate the full structure and provide higher light levels for inscriptions, the firm opted for a mix of narrow beam angles (6 and 20 degrees). Snoot and cross baffle accessories were also used to control glare. 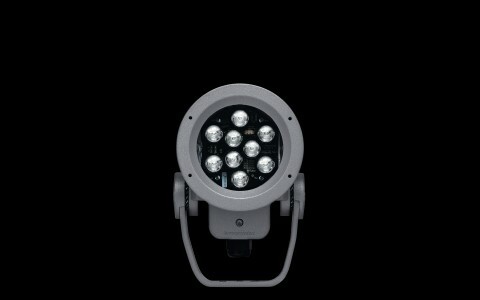 "Lumenpulse was able to provide the best-performing, smallest-scale fixture for such an installation. The Lumenbeam Small fixtures gave us the light output and the tight beams we needed to highlight the inscriptions, but they were still small enough to stay inconspicuous from below," Newell said. The result is a subtle, evocative lighting design that enhances the memorial's symbolic design and gives nighttime visitors a place for quiet, "moonlight" reflection.